Source: Adapted from Ref. 7.
lubrication and immunity. Consequently, patients frequently suffer from recurrent infections. Collapse of the nasal bridge ("saddle nose" deformity) may occur due to nasal chondritis (Fig. 2). Nasal examination typically reveals crusting, discharge, friable erythematous mucosa, and granulation tissue. Nasal septum perforation may occur. The paranasal sinuses, most commonly the maxillary and ethmoid sinuses, are affected in at least two-thirds of patients. In time, many patients develop pansinusitis. Inflammation of sinus mucosa and epithelium may result in discharge, obstruction, increased pressure, facial pain, headache, and secondary infection. 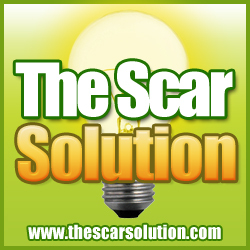 Chronic inflammation usually produces sinuses lined by scar tissue and airspace obliteration. Mastoiditis may result in severe pain. Regional extension of sinus disease may lead to intracranial complications such as meningitis, epidural and subdural empyema, or cerebral abscess. Orbital complications may arise de novo or be a complication of disease extension from sinuses and include cellulitis, blepharitis, displacement of the globe (proptosis), extraocular muscle palsy, diplopia, visual impairment, and even blindness (8). The middle ear is affected in at least one-third to one-half of all patients (9). Clinical features include otalgia, otitis media, and serous, purulent, or bloody discharge. Patients with chronic otitis media may present with conductive hearing loss due to thickened, scarred, or perforated tympanic membranes. Chronic otitis media can also lead to the development of a cholesteatoma (Fig. 3). Over time, the cholesteatoma increases in size and as a consequence can destroy the middle ear bones or the mastoid, or may erode into the inner ear and cause permanent hearing loss or dizziness. The facial nerve may be involved by the growth of the cholesteatoma, resulting in facial paralysis. Less often (<5% cases), hearing loss may be due to sensory neural involvement (Chapter 28). 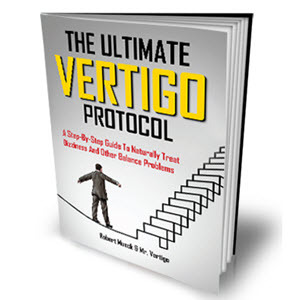 Vestibular disease may result in intermittent (~5%) or persistent (<1%) vertigo. The external ear is rarely the site of chondritis and can be associated with edema, erythema, and pain that may be identical to that of relapsing polychondritis (Chapter 7). The oral cavity and oropharynx can develop ulcerations, edema, hyperplastic and inflamed gingiva, and sialadenitis. Rare examples of WG presenting as a parotid mass are well documented. Subglottic stenosis (SGS) occurs in about 20% of patients. 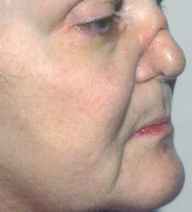 It is the result of inflammation and subsequent scar formation. Presentations include hoarseness, pain, dyspnea, cough, and stridor. Patients may have obvious wheezing, which appears to be diffuse with lung auscultation. Mistaking SGS for asthma is not unusual. If early symptoms are ignored, progression to severe stenosis may require an emergency tracheostomy.